How do You Uninstall MFHelper? Here is the Step-by-Step Method! How can You Uninstall MFHelper? 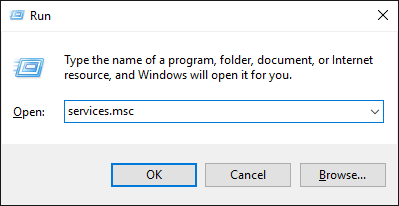 You may meet the following message window when you try to install iMyfone Umate on your Windows computer. Do you have no idea how to close MFHelper? If so, here is the step-by-step solution for it. MFHelper cannot be uninstalled when its service is still running. Please make sure MFHelper service is closed before uninstalling MFHelper. Step 1: Stop MFHelper Service. (1) On your keyboard, please hold “Windows” key and “R” key at the same time. Then a Run window will pop up. (2) Type “services.msc” into the box and hit “OK” button. (3) Then the Services application will pop up. 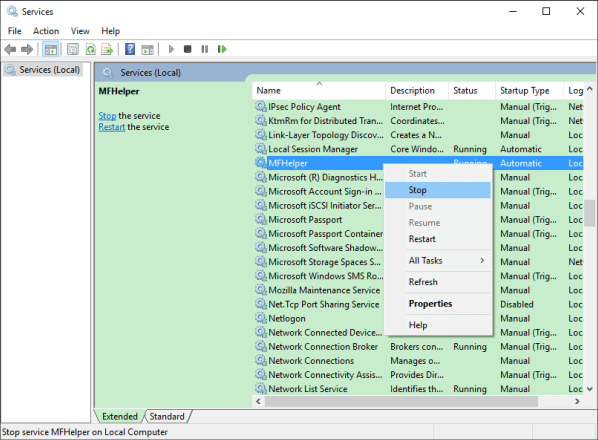 Please find MFHelper in the services list, right click on it and choose “Stop”. Wait a moment here and MFHelper service will be closed. 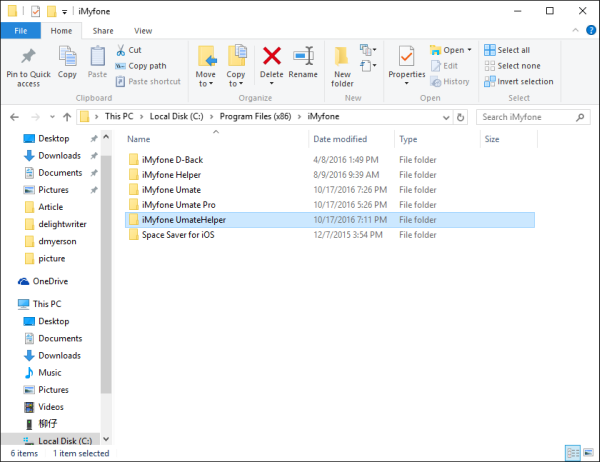 Please go to where you installed MFHelper on your Windows computer and find “iMyfone UmateHelper” folder. Right click on it and choose “Delete”. 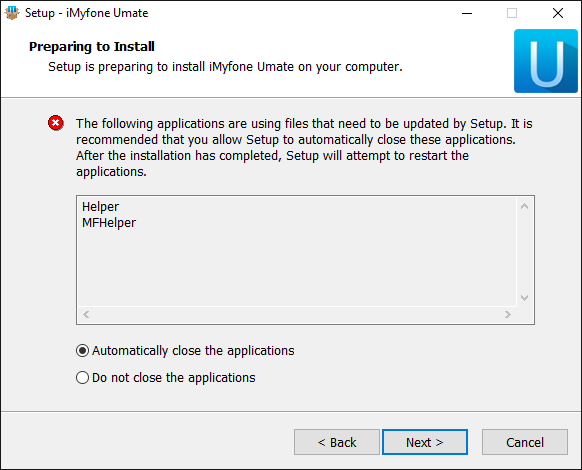 Then the MFHelper will be removed from your computer and you continue the installation of iMyfone Umate. The default installation directory of MFHelper is C:\Program Files (x86)\iMyfone. If you customized installation directory of MFHelper, please go to where you installed it.